Multi-touch meets mouse - is this the cleverest mouse yet? Let's be clear about this from the start - Apple does not have a good track record with mice. For years Apple mice had just one button, and Apple, thinking it knew best, refused to budge from this overly simplistic design even in the face of rising criticism from its own customers who simply wanted to stop being laughed at by their PC-using colleagues. Right-clicking is now such a fundamental action when using desktop computer that it's hard to believe that Apple held out until the Mighty Mouse (now renamed Apple Mouse thanks to a law suit) in 2005. While the Mighty Mouse gave Mac users the ability to right-click without having to switch to a Microsoft or Logitech Mouse (which almost all of them had done at that point), it was still not without its problems either - chiefly that the "revolutionary" trackball for 360 degree scrolling clogged up far too quickly with grime, in some cases rendering it completely unusable. It was also bulky and the right-click could be unresponsive. In short, it wasn't a hit. Fast forward to 2009 and Apple has re-invented the whole concept of mice (again) with the Magic Mouse. But why the short history lesson? 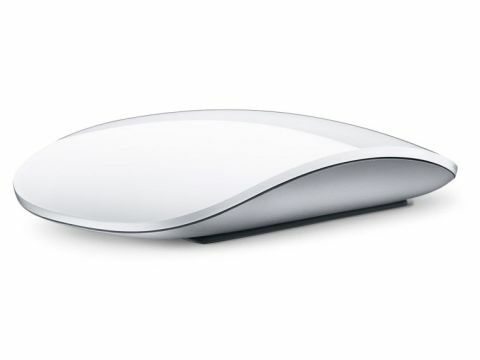 Well, Apple's new Magic Mouse isn't like ordinary mice. We're not talking about the fact that it's the world's first mult-touch mouse here (there is no two button/one button debate anymore, since the whole mouse IS a button). We're talking about the fact that it won't actually work on a Windows PC. Yes, the Magic Mouse is Mac-only, so if you're a PC owner you might as well stop reading now.